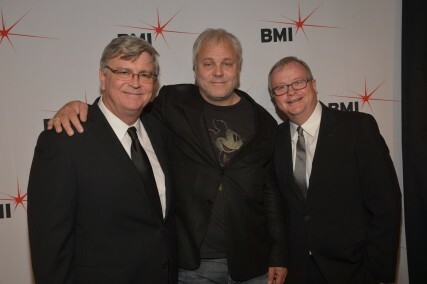 The 61st annual BMI Awards were held at the Beverly Wilshire Hotel in Los Angeles last night. 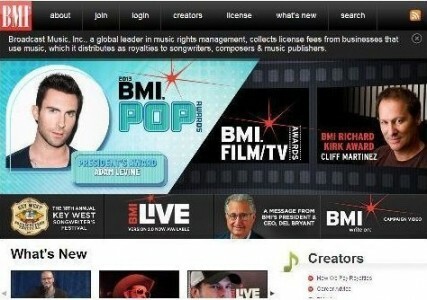 The awards honor the songwriters and music publishers behind the past year’s most performed pop songs. One of the evening’s award-winning songs was Kelly Clarkson’s “Stronger (What Doesn’t Kill You)”, co-written by Jörgen and Ali Tamposi, signed to Jörgen’s music publishing company Perfect Storm Music Group. This far Jörgen has received a total of six BMI Pop Awards. 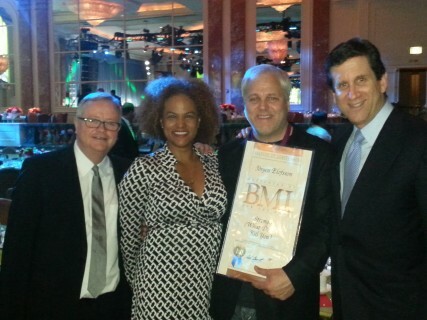 In the picture above, from left: Robin Godfrey Cass, Jörgen’s manager and CEO of Perfect Storm Music Group, Donna Casaine, Senior Vice President U.S./International Creative Affairs Universal Music Publishing Group, Jörgen and Zach Horowitz, Chairman/CEO Universal Music Publishing Group. Jörgen and Ali receiving the award. Phil Graham and manager Robin Godfrey Cass.